This 1997 book was the first English translation of all of Kant's writings on moral and political philosophy collected in a single volume. No other collection competes with the comprehensiveness of this one. 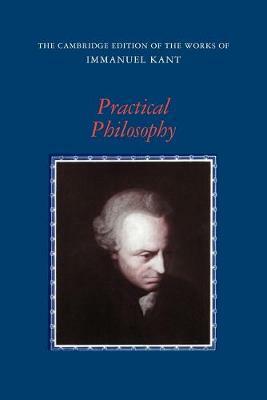 As well as Kant's most famous moral and political writings, the Groundwork of the Metaphysics of Morals, the Critique of Practical Reason, the Metaphysics of Morals, and Toward Perpetual Peace, the volume includes shorter essays and reviews, some of which have never been translated before. The volume has been furnished with a substantial editorial apparatus including translator's introductions and explanatory notes to each text by Mary Gregor, and a general introduction to Kant's moral and political philosophy by Allen Wood. There is also an English-German and German-English glossary of key terms. 1. Review of Schulz's Attempt at an Introduction to a Doctrine of Morals for all Human Beings Regardless of Different Religions (1783); 2. An Answer to the Question: What is Enlightenment? (1784); 3. On the wrongfulness of unauthorized publication of books (1785); 4. Groundwork of the Metaphysics of Morals (1785); 5. Kraus' Review of Ulrich's Eleutheriology (1788); 6; Critique of Practical Reason (1788); 7. On the common saying: that may be correct in theory, but it is of no use in practice (1793); 8. Toward Perpetual Peace (1795); 9. The Metaphysics of Morals (1797); 10. On a Supposed Right to Lie From Philanthropy (1797).